CONTENTS: Some insights | The marketers cry for help | How to move forward? | Why is this important? The sixth place, with only 36%, is also an interesting one: channels that our management trust… There seems to be a disconnect between marketing and management. Talking about disconnects, here is another one. 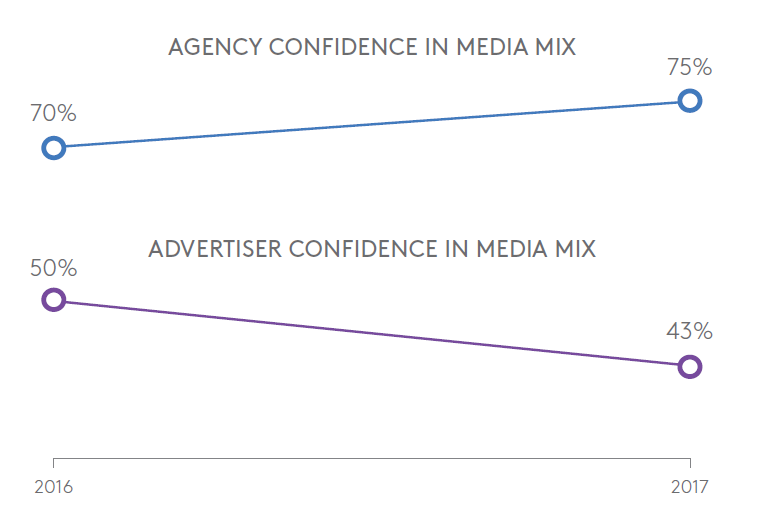 And a very important one: advertisers lack confidence in their media mix. 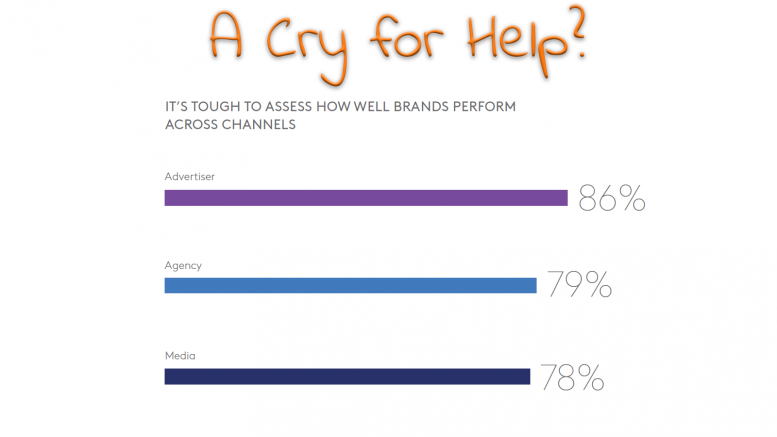 While agencies show a 75% confidence in the media mix, only 45% of advertisers have confidence in the media mix. This is a problem, this is a fundamental problem. The advertisers pay for that media mix. If they don’t trust it, change will happen. And that’s what we saw earlier this year with P&G: they cut over 100 million in online advertising. And P&G did not see any significant impact on sales. So why pay for online advertising if the impact is negligible or questionable? There is a strong disconnect between agencies and advertisers when it comes to confidence in the media mix. One of the reasons for the lack of confidence is probably online ad fraud, which is estimated to reach 16,4 billion US $ in 2017. ‘Programmatic advertising’ might seem a nice thing, but if you don’t know where your ads are placed, if you don’t have control over it, your ads might end up on fraudulent sites. Or dubious sites that you don’t want to be associated with… Think sites with extremist content or conspiracy theories. AdPros has written a very good overview of ad fraud. And ad fraud is big business: last year a hacker group made some 5 million US $ per day (!) thanks to ad fraud. But let’s get back to the Kantar Millward Brown report. 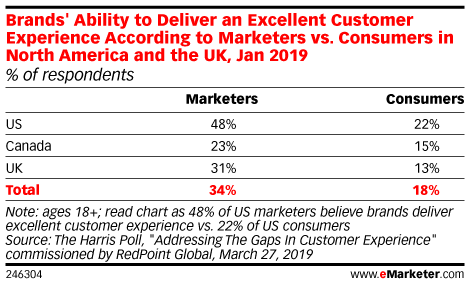 One of the most interesting insights is that the number one priority for marketers is measuring and proving ROI. But these marketers believe they are missing the necessary research to measure that marketing performance. There are gaps in the data available, they can’t get the full picture. And that’s where printing companies – with the help of print designers of course – should act upon. Print needs to be measurable! Right now! Every time! Otherwise printed marketing materials will become irrelevant to marketers. If this scares you, if you think it’s difficult to make print measurable and connect print to online reporting tools, I have news for you: it is not. It’s even quite easy: provide every print campaign with a link to a specific, print campaign related, landing page. Once a customer uses that link, he is ‘in the system’. But take into account this small, but important tip: use a specific short URL (one that is easy to remember! ), or a QR-code for that short URL, which will then redirect to the campaign landing page. During that redirection, the translation of the short URL to the much longer URL of the landing page, you can add all kinds of interesting data. I’ve explained it, step by step, in this article. I’ve already used it in a printed mailing myself. I can guarantee you that it works! It’s difficult to assess how well a brand performs cross-channel. 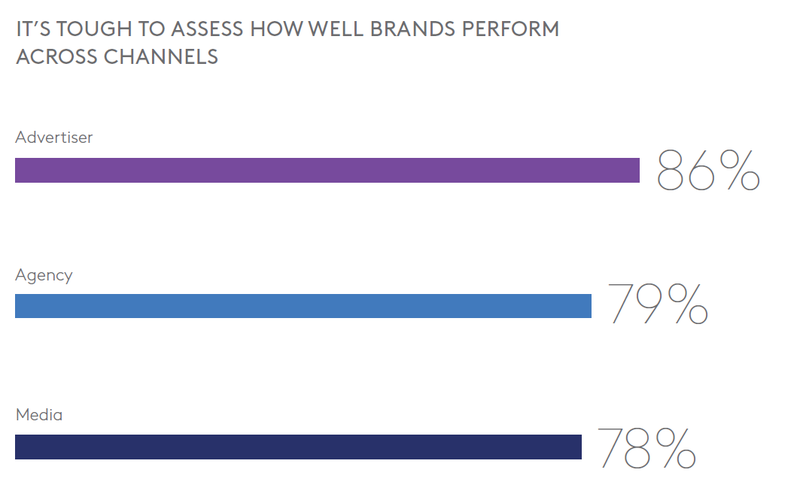 BTW: also advertisers acknowledge this problem: 86% agrees that it’s tough to assess how well their brand is performing across channels. And only 44% of the advertisers are confident that they are able to integrate multiple data sources to produce actionable insights. Both traditional channels (excluding TV) and cross-channel are rather difficult to track. Once you have the cases, convince customers to get involved already at the design stage. Not the graphic design: the campaign design stage. To make sure that print is easily integrated. And offer help to analyze and adapt the campaigns. Become a real partner for them, not just a print outsourcing company. And then there is the next step: look into marketing automation. And how you can connect to the marketing automation tools your customers work with. A lot is going on in this field! Make sure you at least have some basic knowledge. For print to stay relevant in marketing, it has to demonstrate ROI. And in that, there is an opportunity for printing companies to get more involved in the design and evaluation of marketing campaigns. But you need to have the right expertise, the right people. And you have to walk the talk: start using it yourself, today! PS: you can download the complete Kantar Millward Brown report here. PS2: just after I published this article, I saw this new article by MarketingProfs on marketing ROI measurement. Be the first to comment on "A marketers cry for help?"